We are reducing the Chablis carpet in the Campeone Collection from ITC Natural Luxury Carpets to £43.99m2 – a saving of over £10m2! 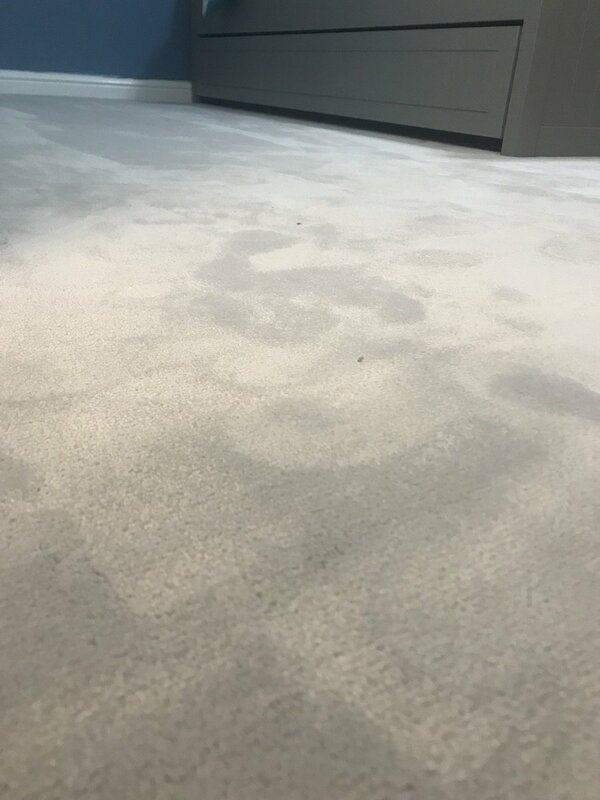 This exceptionally soft carpet usually retails at £55.99m2 and is hard to come by across the region, with only exclusive retailers like ourselves able to supply and fit it. If you haven’t seen or heard of ITC products before, visit one of our showrooms to get a feel for the luxurious softness of their floorcoverings – you won’t be disappointed. Showing: Samples of the ITC Natural Luxury Fooring Chablis collection - on special offer with Flooring 4 You throughout February 2019. ITC are a Dutch company who specialise in the manufacture of hand-woven luxury carpets and rugs. They’ve been in the business since 1968 and are market leaders in crafting stylish yet practical floorcoverings. Mention ITC to interior designers and architects and they’ll know the name. Such is the quality of ITC’s extensive portfolio, they can be found across the world in yachts, hotels, offices and of course, residential homes. Showing: The silky softness of the ITC Chablis carpet - pure luxury for any home. Chablis is a carpet in the ITC Campeone Collection, one that’s designed to perform yet looks and feels like pure silk. 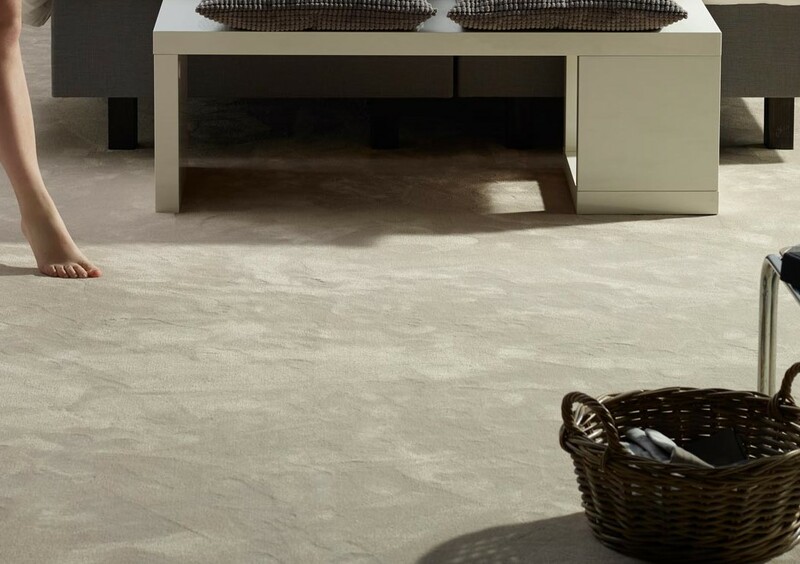 With Chablis, luxury and style meet practicality - the carpet is made from 100% 6.6 pa nylon, which gives it its faux silk look as much as its long-lasting, non-shedding, stain and water-resistant capabilities. It has a heavy domestic classification, Chablis is suitable for anywhere across the home. In fact, the carpet is so well made, it has a general commercial rating too. At 11m thick you can be certain of comfort underfoot, and the choice of nine fashionable colours means there’s a neutral shade to work within any interior. Showing: Chablis in colour Stone installed to a home in Appleton, Cheshire. To get the high-quality Chablis carpet for your home for only £43.99m2, even if your months away from wanting the new carpet installed, you can secure your order at the discounted price. All you need to do is book a free estimate with us during February 2019 to measure your space, then on receipt of our quotation, pay the deposit to secure your order. You need not have the carpet installed in the same month – you can save the installation date until later! 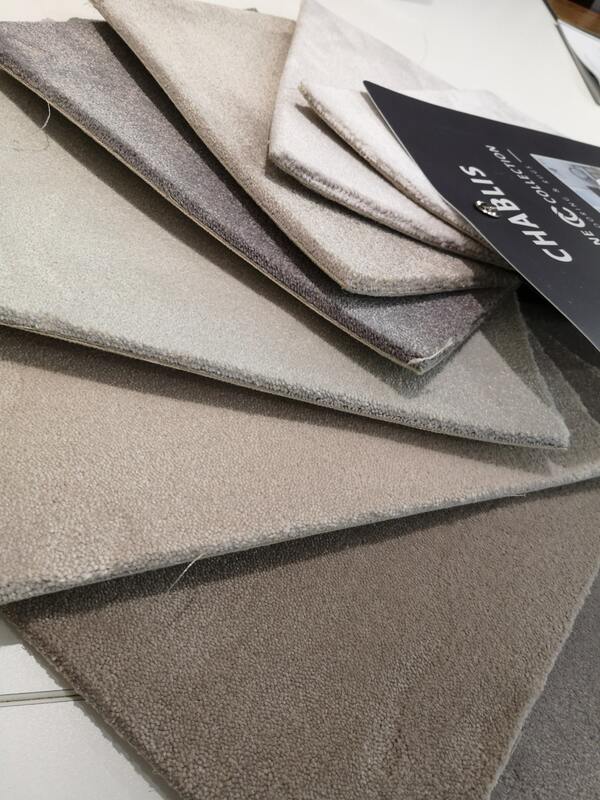 Contact us to arrange your free estimate for the luxury Chablis carpet, or visit one of our flooring showrooms to see the samples. This is a fantastic offer on a high-quality, silk-effect carpet that shouldn’t be missed.